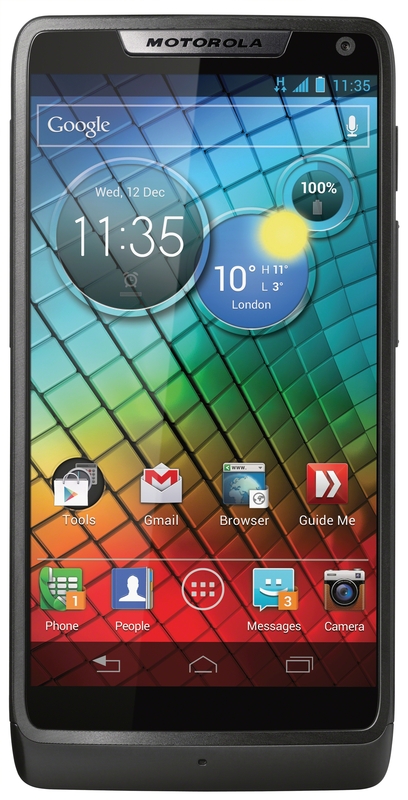 Motorola is using a London event today to show off its first phone powered with an Intel processor. The RAZR i packs a 2GHz Intel processor and a 4.3-inch edge-to-edge touchscreen — the fastest such chip ever included in a Motorola phone. The added processing power is particularly useful when taking pictures. Among its photo abilities is a way to take 10 pictures per second. Along with the Intel chip, the RAZR i features an aluminum case with a Kevlar-coated back, near field communications abilities and the Ice Cream Sandwich flavor of Android. The device is the first fruit of a multiyear partnership announced at January’s Consumer Electronics Show — ahead of Motorola’s deal to be acquired by Google. Although neither company indicated any changes to the deal, Wicks declined to comment on any future plans for Intel-based phones. Motorola is the best-known cellphone maker to adopt Intel chips. China’s ZTE and Lenovo are using Intel chips in a small number of products, while France’s Orange, India’s Lava and Russia’s MegaFon have also introduced phones based on an Intel-created reference design. The RAZR i bears a strong resemblance to the Droid RAZR M phone announced earlier this month for Verizon. The two devices look nearly identical, though Intel’s model doesn’t support high-speed LTE networks, such as Verizon’s. 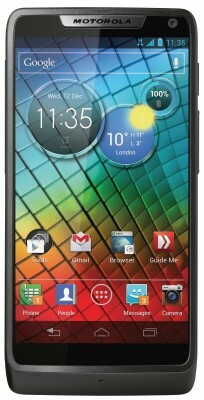 Motorola said it will ship the RAZR i in various European and South American markets starting in October. Wicks said that both the RAZR i and RAZR M get similar battery life — about 20 hours when performing a Motorola-crafted variety of tasks, including a mix of Web use and calling.